I loved it. It was raw, it was reserved, it was secretive, it was condemning, it was fascinating. 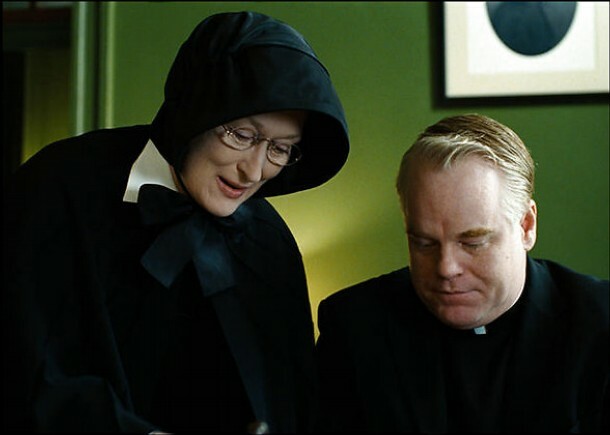 How can you go wrong with Academy Award Winner Meryl Streep (said to be the greatest actress of our time), Academy Award Winner Philip Seymour Hoffman (said to be the greatest character actor of our time), and Academy Award Nominee Amy Adams? It contains some of the most brilliant acting I have seen on screen. 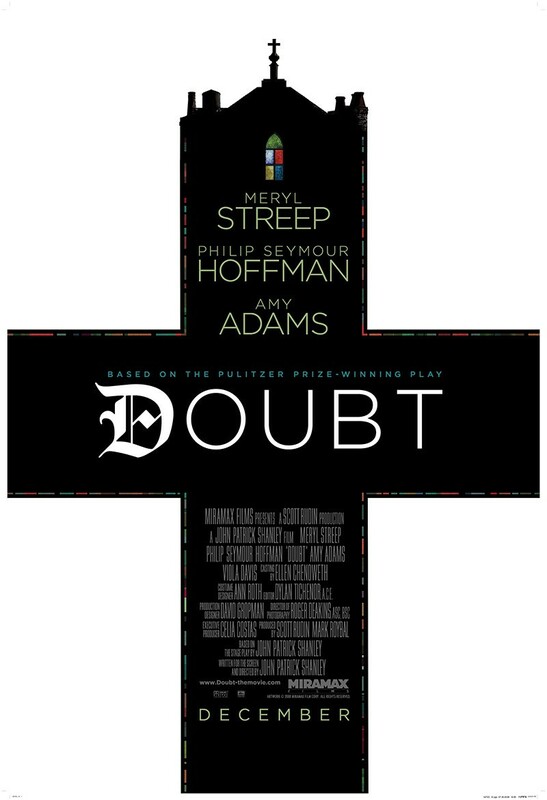 Hoffman gives a performance that will leave you breathless, while Streep, as always, never ceases to amaze. If you do not consider yourself a lover of movies, and more specifically, of acting, then you will probably not enjoy it. It is something that few will appreciate. The direction is impeccable, perfectly characterizing the feel of a play (as it was based on the Pulitzer Prize winning play of the same name). However, the lack of resolution causes those seeking conclusion disappointment. Go into it with an open mind, not expecting completion of thought, but fully expecting astonishing performances. Such a good movie. Probably the best cast I have seen this year. There was NO weak acting at all!! !